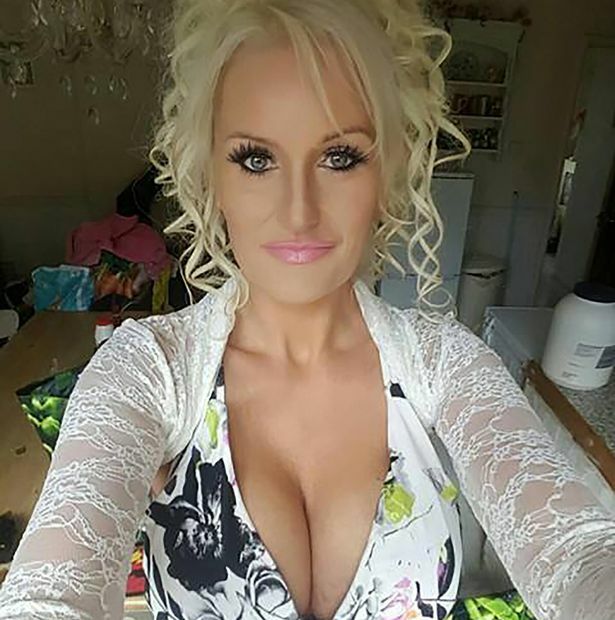 A 25-stone grandma who had six kids claims she has finally got the glamour model body she always dreamed of after losing more than HALF her bodyweight and having size G breast implants. Natalie King, 47, always dreamed of becoming a pinup and even posed for London agencies in her late teens, but the stay-at-home mum, from Penzance, Cornwall, fellpregnant at the age of 18 and put her modelling dreams aside to raise her family. With each pregnancy Natalie gained more weight until eventually she reached more than 25 stone and a size 30 – leaving her suffering with anxiety that left her virtually housebound. 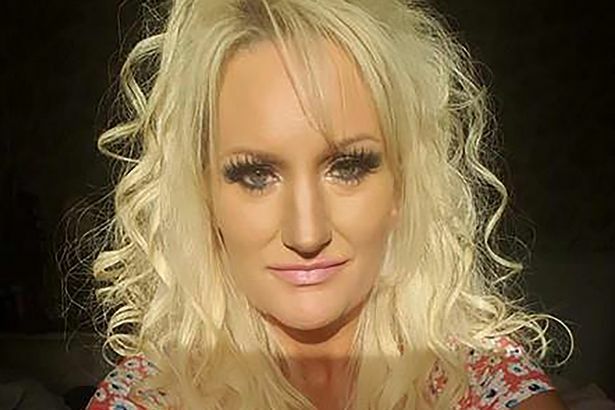 But after deciding to overhaul her unhealthy lifestyle, Natalie has shed 13 stone, dyed her hair bleach blonde and invested in breast implants to finish off her glamorous new look. The grandmother-of-three revealed how she had grave fears for her health when doctors warned her she had a fatty liver and she was at high risk of having a stroke . With the help of her husband Roy, a commercial vehicle body builder, Natalie was encouraged to join Slimming World and has dropped from a size 30 to a slender size 12-14. After Natalie reached her weight loss target of 12 and a half stone, Roy offered to pay for a breast enlargement to boost her confidence, and Natalie now says she now has the body she always dreamed of. Natalie said: “I feel like a different person. Before my weight loss I was a size 28-30 and I was depressed. “I didn’t go out, I wouldn’t go out of the car. I just wanted to hide because I felt as though people were looking at me. “I started suffering from anxiety about 15 years ago – it all started because of my weight. “I wouldn’t get out of the car at the school gates and I’d never been to a school play until last year. “The children’s faces lit up when they saw me, their eyes went big and they started showing off. It was amazing. “When I was younger I did glamour modelling for around 12 months. It was more of a hobby than anything but I really enjoyed it. Natalie said: “Before I started Slimming World I used to eat takeaways all of the time. “I was just getting bigger and bigger. I used to eat six donuts a day as well as chocolate, crisps and a takeaway every night. “I would get Chinese, chippy, KFC – I would spend around £100 a week on takeaways. “I started getting a pain in my side and the doctor told me I had a fatty liver and a gallstone. “I was at risk of having a stroke I also started suffering from arthritis in my knees as a result of my weight. I wanted to be healthy for my children. “My husband loved me the way I was but I was so unhappy. I had a fear of going on the beach because I was so scared of getting out of breath and getting stuck – I didn’t go on one for 20 years. “I really wanted to join a slimming club but I was too nervous, so my husband came to the classes with me and supported me through my entire journey. I couldn’t have done it without him. “I now eat a bacon and egg sandwich in the morning and meat and vegetables for dinner. When Natalie reached her target of 12 and a half stone in June, Roy offered to pay for a breast enlargement. Natalie said: “I decided to have my breasts done because I wanted to start making the most of myself again. I went up to a G cup and I am really happy with them. “I spent years not wearing any makeup because I didn’t think it could make me look any better. “My hair was always greasy and scraped up in a ponytail, I didn’t care what clothes I wore as long as they fitted. “Now I’ve got my body back I want to start making the most of myself again. “I would love to try modelling again now I’ve got my confidence back. I don’t have to hide away anymore.